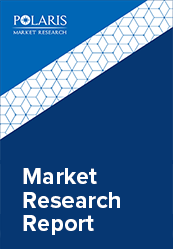 The global polyvinyl alcohol (PVA) market was valued at USD 832 million in 2017. Product demand in terms of volume is expected to grow at a CAGR of around 4.7% globally from 2018 to 2026. Polyvinyl alcohol is non-toxic biodegradable polymer, and its demand is driven by its application in large number of industries such as construction, textiles, packaging films, electronics and many others. As the PVA polymers is not harmful for the environment and is degradable biologically, it is widely used in the manufacturing of sustainable products. PVA can be used in variety of applications on account of its excellent properties such as biodegradability, water solubility, non-carcinogenicity, biocompatibility, non-toxicity, high tensile strength, and high chemical & abrasion resistance. Moreover, the polymer is non-expensive and can be used for distinct needs by modifying via synthetic procedures. The polyvinyl alcohol market is primarily driven by the growing need for biodegradable products. Change in consumer preference for environment friendly products, waste disposal & management, and rising disposable income of consumers in tandem with growing industries are some of the crucial parameters for the growth of polyvinyl alcohol market globally. Growing construction industry in many developing nations of the world has also significantly widened the scope for polyvinyl alcohols, where these are used in concrete mixtures for excellent adhesion properties. PVA’s major end-use industries comprise of packaging films and textile fibres. Both these end-use industries have observed a growing trend across many regions of the world. The product is used in textile yarns as a sizing agent that provides strength and stiffness to the product. Another very significant application for PVA is polymerization aids, which is the largest end-use of the polyvinyl alcohol in China. The polyvinyl alcohol market is highly competitive and has been actively supported by the consumers and the regulatory agencies for crucial factors such as sustainable & biodegradable packing due to increased waste disposal management, especially in the developed nations. However, the industry is also subjected to certain repercussions of PVA’s harmful impact on environment, which only comes with very high concentration levels. The global polyvinyl alcohol market has been segmented on the basis of grade type, applications, and regions. Some of the largest applications include polymerization aid, textiles, and packaging. Packaging among these is the fastest growing application for the PVA market due to the factor of biodegradability. Polymerization aid, that is manufacturing of other products by making use of PVA has been its largest application in countries such as the U.S. and China. Polymerization aid is the largest application for the polyvinyl alcohol in China, whereas polyvinyl butyral (PVB) is the largest for Western Europe and the United States. Asia Pacific is the largest regional polyvinyl alcohol market, where Northeast Asia comprised of over 70% of the installed global capacity in the year 2017. China is a primary market for PVA on account of large polymerization segment for manufacturing products such as pape coatings, adhesives, and textile sizing agents. Countries like Japan in this region are expected to have lower growth in demand and is supported by large exports. North America and Western Europe are other significant regional polyvinyl alcohol market after Asia. In North America, the U.S. has mature applications for PVA, with largest production of PVB. However, the overall demand growth for the country is not expected to be high on account of decline in the market of textile sizing agent, limited growth of adhesives, and stagnating growth of paper coatings. The global polyvinyl alcohol market is highly competitive. Some of the competitive factors for the industry players include technological development, material science innovations, and diversification by market players in production of other related polymers. Major market players in the polyvinyl alcohol market include Eastman Chemical Company, Nippon Synthetic Chemical Industry Co., Sinopec Sichuan Vinolyn, Dow Dupont, Kuraray Co. Ltd, Sigma-Aldrich, and Anhui Wanwei Group Co., Ltd.